The Association of Marine Industries (AMI) has been promoting a better quality of life for LI boaters for over twenty-five years. 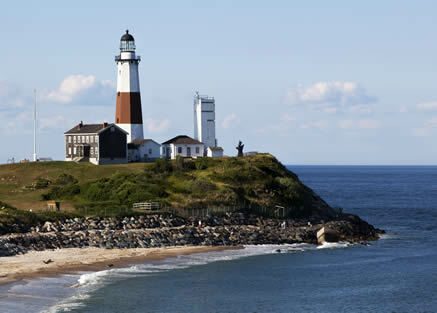 We are a non-profit trade organization consisting of over 135 marine related businesses dedicated to enhancing the Long Island boating public's enjoyment of our clean coastal waters. The AMI organization and its members join together to exchange ideas and information for the benefit and education of its Long Island boating members, the community and the environment. Read the Association of Marine Industries Mission Statement to obtain a better feel for what we are all about. Register today for the NYS Boating Safety Certification Course through the AMI. View the many Long Island boating education courses offered in cooperation with the AMI and Western Suffolk Boces - get hands-on learning in the field of marine services and technology. Twelve thousand free AMI LI Boater's Guides are published and distributed yearly? www.boatli.org, AMI's website, offers tips on Long Island boating safety, clean boating, guidelines for seamanship and dealing with commercial vessels, as well as links to marine forecasts? The Clean Marina Website was created through the coordinating efforts of New York Seagrant, the Environmental Protection Agency, and the AMI, and that the site has information on ecologically sound practices for marina owners and LI boaters, as well as access to governmental guidelines and forms? The AMI established Long Island Marine Technical Educational Council as a non-profit organization dedicated to providing education for the marine industry with a Marine Technician Specialist Program offered in cooperation with Western Suffolk BOCES? Representatives of AMI work with the Peconic Estuary Citizens Advisory Committee, the South Shore Estuary Citizens Advisory Committee, Boater's Advisory Council of the Office of Parks and Recreation, Long Island Works, BOCES Advisory Committee, Local Waterfront Citizens Advisory Committees, and representation in Albany through the Empire State Marine Trade Association? The Riverhead Town Board worked with AMI on proposed revision to docks and bulk heading requirements? The AMI actively campaigns for dredging, which improves LI boaters' safety and the health of the bays? Capitol Group, lobbyist for the AMI, monitors bills of interest to the marine industry and therefore, LIboaters? Members of AMI have been instrumental in drafting language for, and shaping, policy while fighting for Long Island boating rights and actively attending to boaters' needs? AMI members attend yearly meetings in Albany with legislators to keep them informed of the issues important to the marine industry and recreational boaters? Education, conservation, and legislation in relation to the marine industry and to Long Island boating are the main priorities of this organization? The AMI is a member of ESMTA (Empire State Marine Trades Association), the statewide marine trades association. 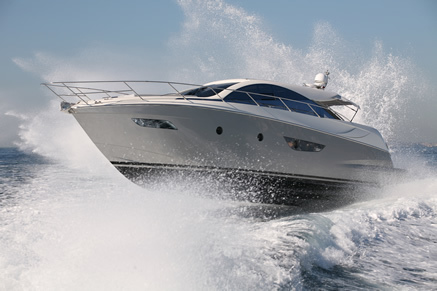 The ESMTA seeks to promote the recreational boating industry throughout New York State, encouraging the safe and proper use of boats, marine accessories, and facilities through means consistent with the public interest and welfare.By joining ESMTA, your membership is a cooperative partnership advancing the marine trades industry in New York State. As a member, you lend your voice to the common cause of recreational boating and enable the organization to advocate more effectively in support of the industry.Along with our Industry Members, ESMTA is happy to have recreational boaters join our ranks and sign up to receive updates on legislative matters and issues that effect boaters and their rights. Visit www.boatnys.com to learn more. Now that you've heard about AMI, don't you think it's time you learned more. For more information, call (631) 849-4232 or complete our quick online contact form or fill out the AMI Membership Interest Form now.